Iceland is famous for, among other things, it's waterfalls. This is Godafoss in the north of Iceland. 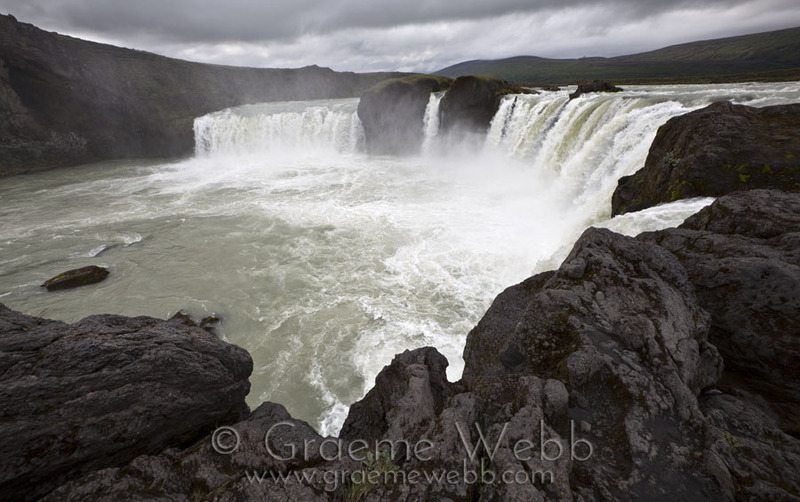 A spectacular sight as the water roars over the arcing and split precipice. Taken with a very wide angle lens, it required me to take a bravery test as I leaned out as far as I dare to get the whole scene in the frame.